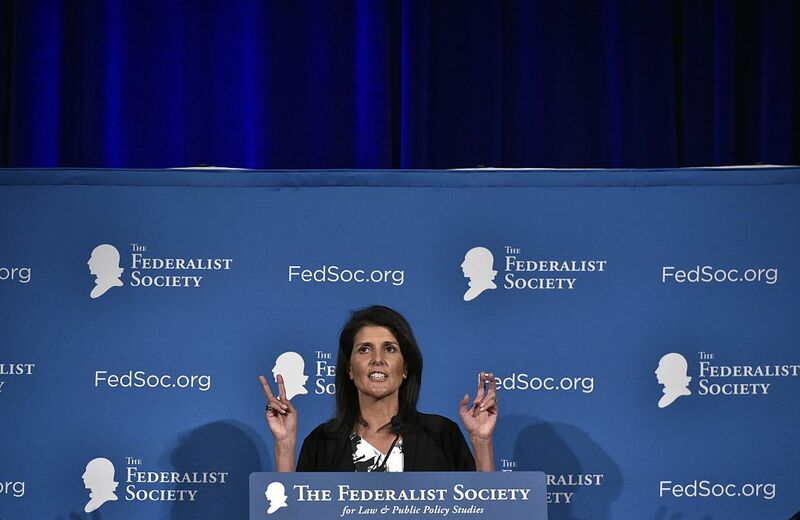 Nikki Haley told attendees at the Federalist Society’s annual convention Friday that Donald Trump won the 2016 election in spite of what elected Republicans have done over the past decade, not because of their actions. She called for the party to examine itself and move toward principles of freedom, limited government and inclusivity. You can watch her full remarks from the convention below, courtesy of the Federalist Society.